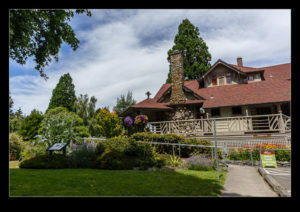 We took a trip through Tacoma after our visit to the Bonsai Museum to go to Point Defiance Park. There was plenty to see and do in the park and, while we were there to go for a hike on the trails, we did check out some of the other parts. Some of these will have posts of their own but to start things off (if you exclude a post that has already come out from the park), here are some shots of the park grounds. 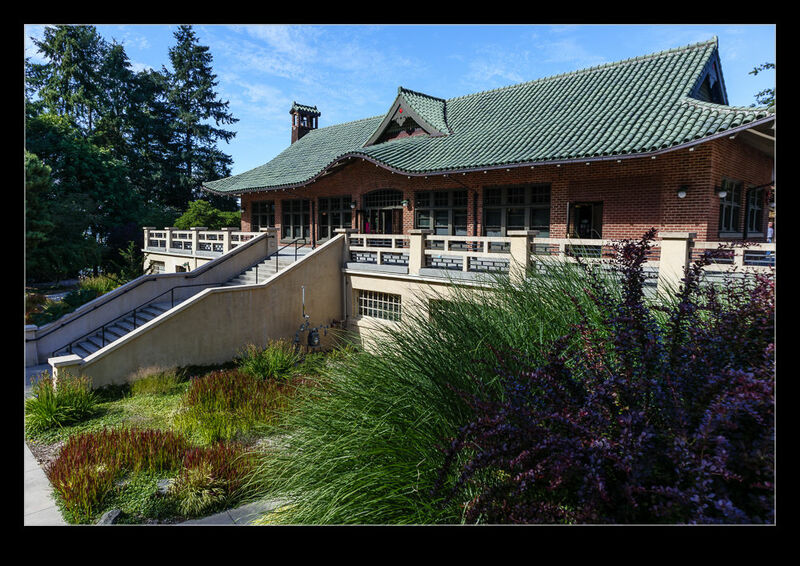 There is a nice visitor center that has the look of a large chalet about it. 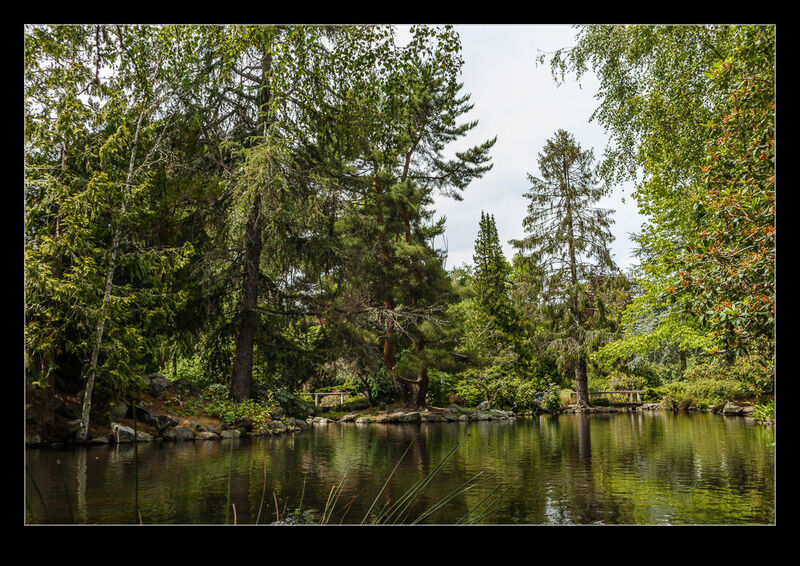 There is also a pond area which is home to plenty of ducks and turtles. There is also a Japanese themed event location that can be hired out and was apparently being used for a wedding while we were there. The park is also home to a zoo. We are known to visit zoos to see what they have on offer, but this trip was not about that. We may well head back some time to see the animals but that will have to wait for now. Before we started exploring, we had brought some lunch with us and we were able to enjoy one of the many picnic benches. 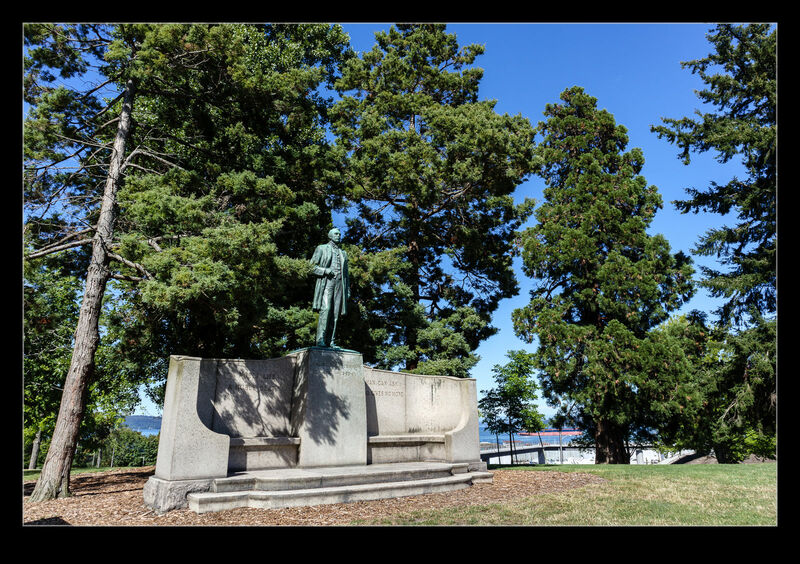 The one we chose was very close to a statue commemorating one of the founders of the park. I can’t recall his name, but I think I am safe in saying it wasn’t Point Defiance (unless his parents really didn’t like him!). 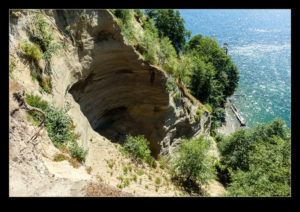 This entry was posted in Pacific Northwest, photo and tagged photo, point defiance park, tacoma, washington. Bookmark the permalink.